Even if you are unable to come out to our voting center, you can still participate in the DA Global Primary Election and vote for our nominee for President and for who will represent us as Delegates at the Democratic Party Convention in Charlotte in September. Do you live in a household with more than one Democrat? Please request only one ballot per email. Deadline to REQUEST the Absentee Ballot: April 30. Deadline to RETURN the Absentee Ballot: May 6. The Absentee Ballot will include instructions on how to vote and return the Ballot. Methods of return will include fax and email. 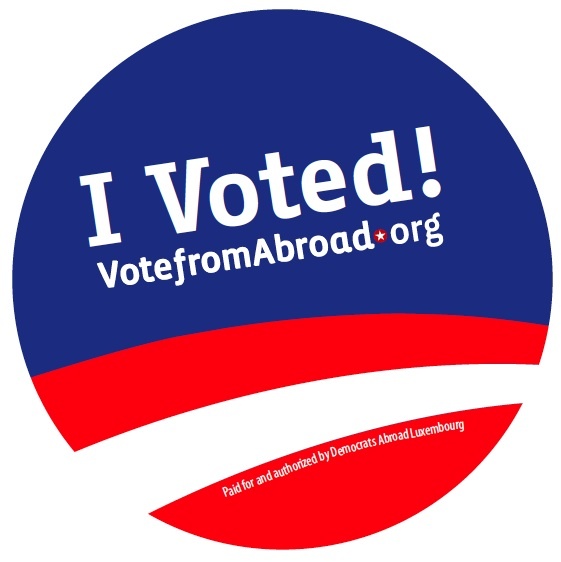 Voting in the Democrats Abroad Global Primary will not in any way affect the status of your registration or voting in your state for the general election on November 6th. If you have not already done so, you will still need to request your absentee ballot for the general election. 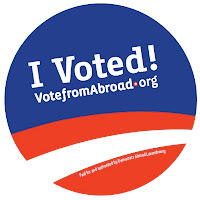 www.VoteFromAbroad.org is a tool that will help you do this. 6:00 - Doors open. Cash bar and free snacks will be served all evening. Get your Obama and Democrat merchandise too! 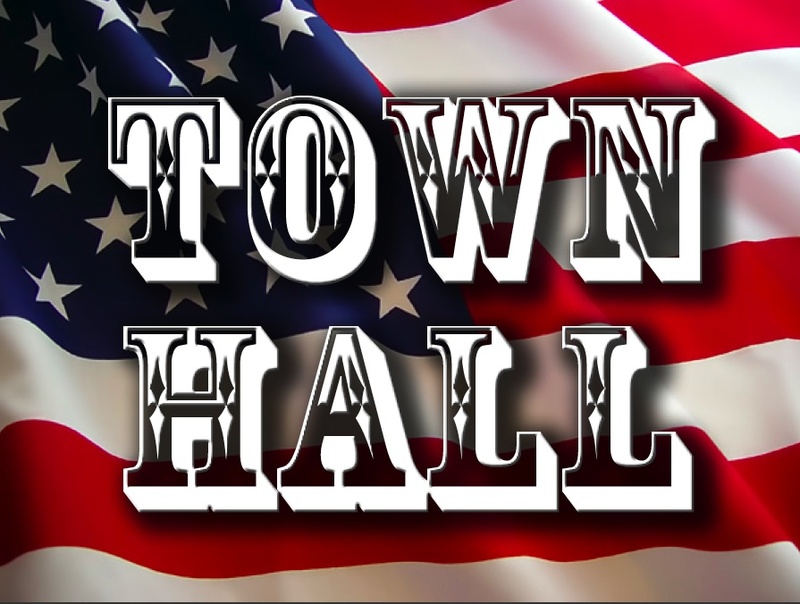 7:00 - Speeches and presentation including overview of key races to watch and what's happening in the campaign. - Register and check in members to issue them with their ballots. - Take photos or videos. - Blog and post on social media sites. - In the coming week, put up flyers announcing the Global Primary event at campuses and work places around Geneva. Also, if anyone out there has design skills and some time to help before the event – we could put your skills to good use! Again, just write to: volunteer@democrats.ch. The DA Global Primary is the process by which we choose the delegates that will go to the Democratic National Convention in Charlotte, North Carolina to nominate our Presidential candidate on behalf of Democrats Abroad. We've had an overwhelming number of candidates throw their hats into the ring for this honor – with 99 candidates running from the EMEA region alone, and 6 in the Switzerland! - Candidate list to help you decide how to vote: you can read the original application form for each of the 99 EMEA candidates by clicking here. 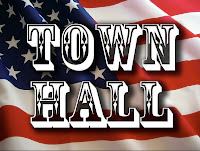 In addition, each candidate was given the opportunity to answer some additional questions about themselves as well as include a link to any websites for further information. We have consolidated all of those answers into one pdf file. You can view that file at www.democratsabroad.org/sites/default/files/EMEA_Delegate_Candidate_Surveys.pdf (login required). 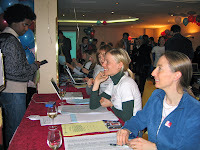 - Campaigning at Primary Events: Any candidates or their supporters who choose to attend a Primary Event and actively campaign and solicit votes there are free to do so, provided that they are NOT also volunteering at that primary event, and that they stay at least 10 meters distant from the ballot box. - Democrats Abroad Facebook Page: Any Candidate to become a Delegate within the EMEA region (or supporter of such Candidate) who wishes to explain their candidacy on our Facebook pages is free to do so. You will find a number of wall posts from candidates already posted on our DA Switzerland page and the DA international page. 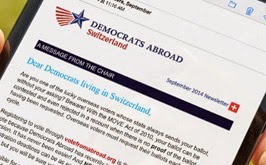 - Democrats Abroad Website: Registered members are also free to post information in support of their candidacy on the Democrats Abroad website. What else is coming up in DA? An event organized by DACH cultural committee to raise money for our Get Out The Vote work. 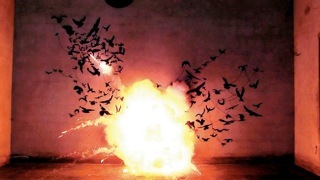 Come out for a unique peek at Geneva's contemporary art scene and support DACH at the same time. This will be a busy month. Now is the time to get active and help Democrats win in November!